Contact - U.S. Patent # 9,700,185. 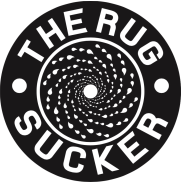 The RUG Sucker! For difficulty processing payments, please use this form and we will contact you to process your order over the phone. Sorry for the inconvenience, the response to this tool has been crazy and we are attempting to upgrade and update the site to handle the large volume that we expect. Thanks! ​If you are interested in becoming a distributor for any of our innovations, please fill out the form below and we will send you an application. Proudly developed in Wyoming, USA!